Ideal for show season or when joining us on track! This Paddock style umbrella will allow you the keep dry, or alternatively keep you from burning during those hot summer days! 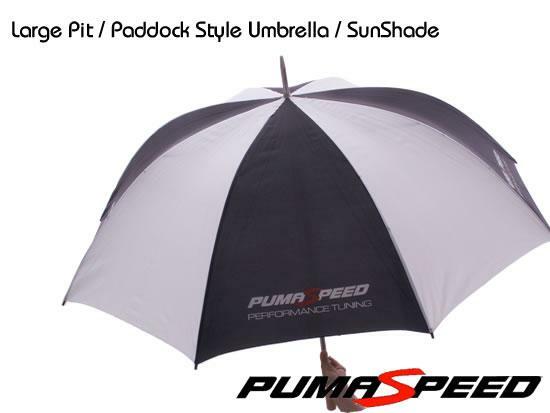 Pumaspeed have a specialist distribution team that can dispatch the Large Paddock Style Umbrella / Sunshade to any destination worldwide.